Graduates reconnect on the Campus Quad. Now is the time to catch-up with your classmates and rediscover all you love about Juniata. 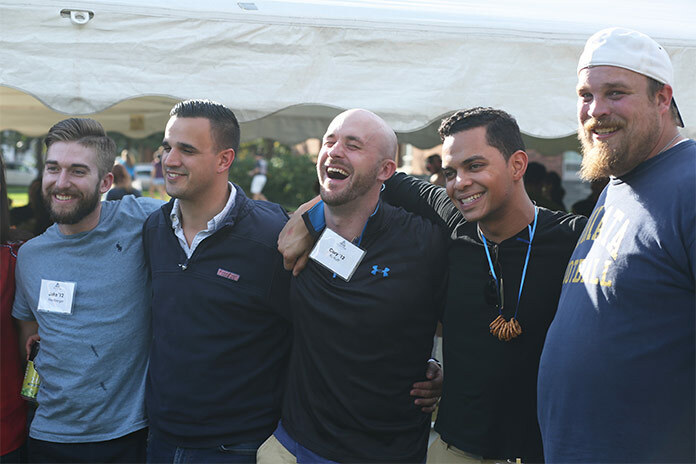 The Classes of 1999, 2004, 2009, and 2014 will be celebrating reunions during Homecoming & Family Weekend 2019, with a special reunion event for each class on Saturday evening, Sept. 28, 2019. We also welcome back our newest alumni from the Class of 2019, who will gather Saturday afternoon on the campus quad for their Zero Year Reunion. If you are interested in being on your reunion committee, contact Katie (Padamonsky) Dickey '97, Associate Director of Alumni Relations, at 814-641-3447 or dickeyk@juniata.edu.